The Data Set rule has two significant enhancements. You can now create a Monte Carlo data set that generates realistic-looking data and use this data set to test strategies and data flows. 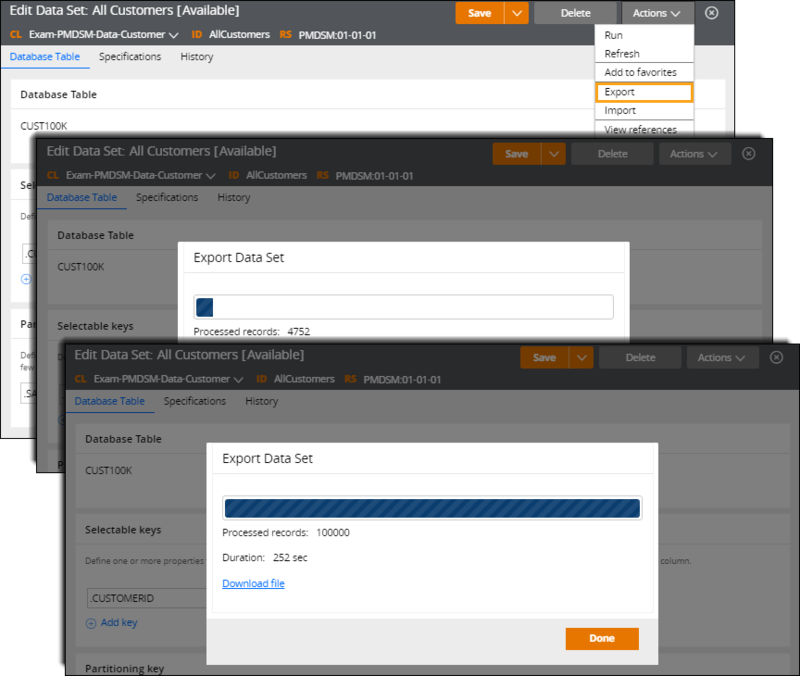 You also can move data between static data sets and Pega 7 Platform instances more easily by using the export and import operations. Create an instance of the Monte Carlo data set by clicking +Create > Data Model > Data Set and selecting the Monte Carlo type in the Data Set Record Configuration window. Configure options of the Monte Carlo data set instance. For more information, see Creating a Monte Carlo data set record. You can think of the Monte Carlo data set as a table, for which the size is the number of rows, and fields are the columns that contain autogenerated data for each row. Monte Carlo - This method gives you a list of providers (add link under 'list of providers') that can generate values. 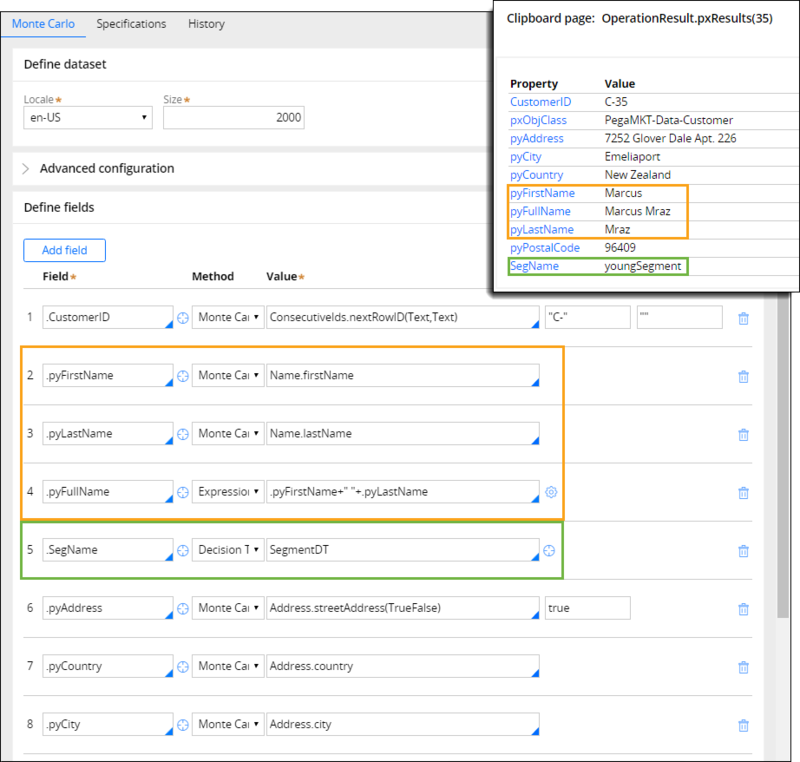 Expression - This method allows you to use the Pega 7 Platform Expression Builder to build an expression that calculates a value. Decisioning rule (Decision Table, Decision Tree, Map Value, Predictive Model, Scorecard) - These methods allow you to select a rule instance that provides a value. For more information, see Data Set rule form: Completing Data Sets. Moving data between data sets and Pega 7 Platform instances is easier and faster with the export and import operations. Export and import operations are not available for stream data sets such as Facebook, Stream, Twitter, and YouTube. 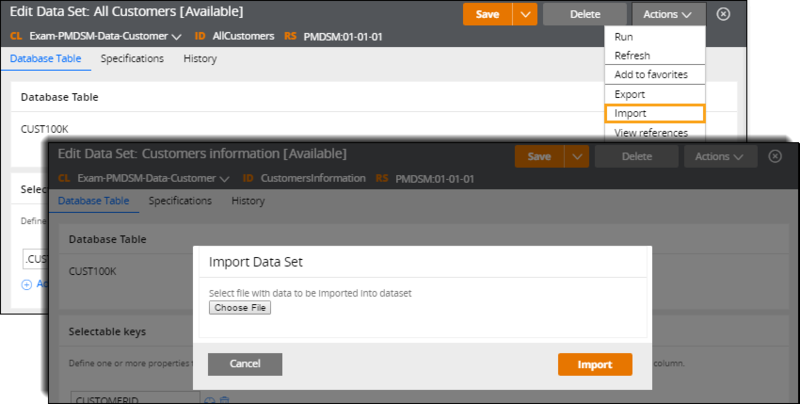 You can export data sets that support the Browse operation to prepare a backup copy of data outside the Pega 7 Platform. Later, you can use this export package to import the data into a different data set. For more information, see Exporting data from a data set. You can import data into data sets that support the Save operation to facilitate initialization of new Pega 7 Platform instances. The file that you can import must be a package that was exported from a data set. For more information, see Importing data into a data set.